Did you know certain trees are regulated differently in Gresham, depending on location, purpose, size, and significance? The City of Gresham is prudent with their tree care. It’s for good reason too—beyond adding to livability and the city’s beauty, trees also promote soil stability and help clean up air pollution. So for tree removal or pruning trees, we recommend using certified arborists. Beyond staying within Gresham’s mandates, we can ensure your trees and your property remains healthy and beautiful. While tree removal is often necessary—like for dead, dangerous, or unhealthy trees—it can be difficult to do yourself, as the City has placed a bunch of regulations on tree care. Without professional training, you can cause unwanted damage to the tree, the neighborhood, or even yourself. Before removing trees, we highly recommend calling our office. 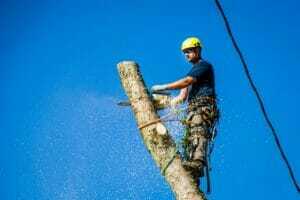 We can remove any tree on your property and also ensure it’s within the City’s mandates. Tree pruning is actually healthy for trees. By removing dead, damaged or unhealthy branches, it helps further the growth of the tree. Beyond that, it may help the overall look of your lawn, or help bring in more sunshine to your home. Pruning requires care, though, as hacking at the wrong branches can hurt the tree. At Urban Forest Pro, we can ensure long-term health while achieving the look and tree shape you desire. 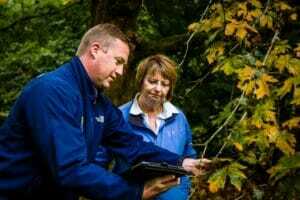 We can even assess and reverse any damage your trees may have undergone in the past. Trees vary greatly in Gresham. So when it comes to needing tree removal or pruning, we recommend calling professional arborists to ensure proper maintenance. As certified arborists, we can remove any type of tree and do so in a clean and efficient manner. Our rates are competitive and we stand behind them with guaranteed professional service. Call Urban Forest Pro at 503-226-7143 for any questions or for a free estimate.